"Does eating local produce and staying in a quiet spot appeal to you? Why not try out a Lake Garda Agriturismo"
A Lake Garda agriturismo can vary in size and style considerably and there is a large selection to choose from in this area. For those who enjoy the quiet country life away from it all, they offer a haven of peace and tranquility. Most of the food is grown on the surrounding fields and is very naturally produced. 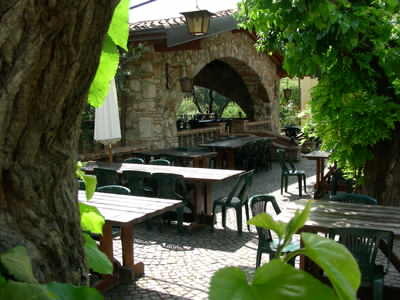 We have enjoyed some lovely meals at agriturismos, which are often really good value for money. The agriturismo type of accommodation is usually inexpensive and is the cheapest way to stay at Lake Garda, apart from camping. The main downside to some agriturismos is that they are located away from the lakeside so you will have to travel a little way to get there. As the name (meaning 'Farm Holiday') suggests, most agriturismos are found in rural locations, often on a farm or small holding. This can mean that the location can be a little isolated, but for those who love the countryside and plenty of space, this is very appealing. Many are found up in the hills surrounding the lake or on country roads away from the hussle and bussle of the towns. Some can be found near or on the outside of towns but still tend to be in quieter locations. You will also often find animals in the surrounding fields and the whole experience is great for those who love nature at its best. There is a wide range of Lake Garda agriturismo accommodations available, from farm houses with 2 or 3 rooms to large country estates with room for 50 or even 100 people. The smaller units tend to be decent-sized farm houses with bedrooms and a dining area, while the larger ones can often be old courtyard complexes with many facilities. Most are quite old and ooze with charm and character. You will find a lot of wooden beams and panelling inside this type of property, which enhance the natural feel and experience. The smaller agriturismos tend to have more basic facilities but the upside is that they can often be very reasonably priced. Usually the rooms are a good size and you will always get a hearty breakfast included wherever you go. The larger agriturismos often have swimming pools, restaurants, bars, and lounges and spacious terraces where you can enjoy the surroundings. Many, whether small or large, offer the meals in the evening at an additional cost. 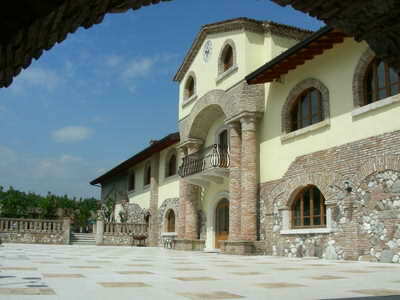 Click here to go from Lake Garda agriturismo to the home page. Which is the nicest Agriturismo at Lake Garda? 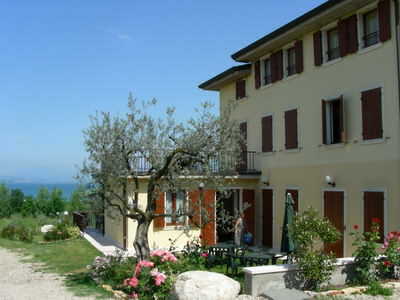 Stayed in a fantastic Lake Garda agriturismo? Why not share your story about it and you are highly likely to get your own spot on our website! Your story could well feature on a dedicated web page and may even get in our newsletter too! How good would it feel to show your friends and family your own Lake Garda story on a well respected Lake Garda site! We love pictures as well, so feel free to send us your best shots and there will be no mistaking you then!